[PRESSWIRE] Saudi Arabia - 03 April, 2019 -- The Fashion Design Department, under the School of Design and Architecture at Dar Al-Hekma University, is proud to announce an upcoming female-only fashion show that will take place on April 12, 2019 at the Lexus Show Room on Medina Road, Jeddah, KSA, followed by an exhibition that will be open to the public on April 13, 2019. The Fashion Show event, called “Cultivation” will be showcasing the Fashion collections of the graduates of 2018-2019. 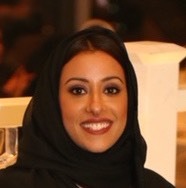 This prestigious event will be under the patronage of Her Highness Princess Noura Bint Faisal Al Saud, the Saudi Fashion Ambassador, who will be heading a judging panel uniting renowned Saudi Fashion Designers. The event will be the first of its kind as it will witness, for the first time in the history of Saudi Arabia, a collaboration between the education sector and the car industry, represented by the partnership between Dar Al-Hekma University and Lexus Abdullatif Jameel. Lexus will be hosting DAH Graduate’s Fashion Show and officially introducing its new Lexus car model, designed by a woman for women, during the Fashion Show event. The Chair of the Fashion Design Department, Dr. Sana Abbasi, confirms that the Fashion Design Program complies with Saudi Vision 2030 by preparing new young talents and aspiring fashion designers, who will be ready to compete on the local and international levels. She is very pleased about this partnership with Lexus, which proves that Dar Al-Hekma’s aspiring Fashion Designers are equipped with the knowledge and the technical skills needed to enter the workforce of the competitive field of Fashion Design. The modern designs of the graduates, are inspired by diverse cultures, are in complete harmony with the Saudi culture, and Islamic values and traditions. 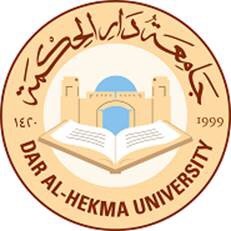 True to Dar Al-Hekma’s tradition of honoring outstanding work of its graduates, the designs that are going to be showcased in the fashion show will be appraised by renowned professionals in the industry. This appraisal process, based on rigorous professional criteria, will yield three winners whose work will be celebrated.